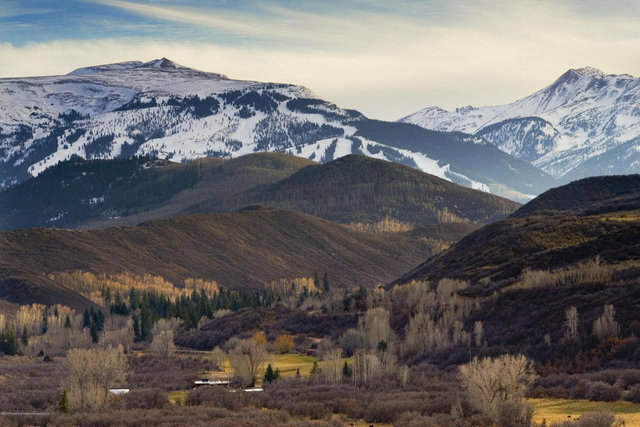 Single Family Lot - Snowmass, CO Less than 20 minutes from Aspen exists an amazing 35 acres of land in the Snowmass Creek Valley with big view of the Snowmass Ski Area and Continental Divide. Historically irrigated meadows, serviceberry and scrub oak covered hillsides and pristine with views in every direction. Land use approval has been amended to allow for a dog on the property. Vested rights to build up to 7500 square feet of improvements, including an employee dwelling unit, and a domestic well has been drilled. Design your Colorado retreat in this private setting.